The English newly declared province of Quebec was protected from American expansion by the English declaration of an “Indian Territory” and the English command that there could be no American colonists moving into the “Indian Territory”. 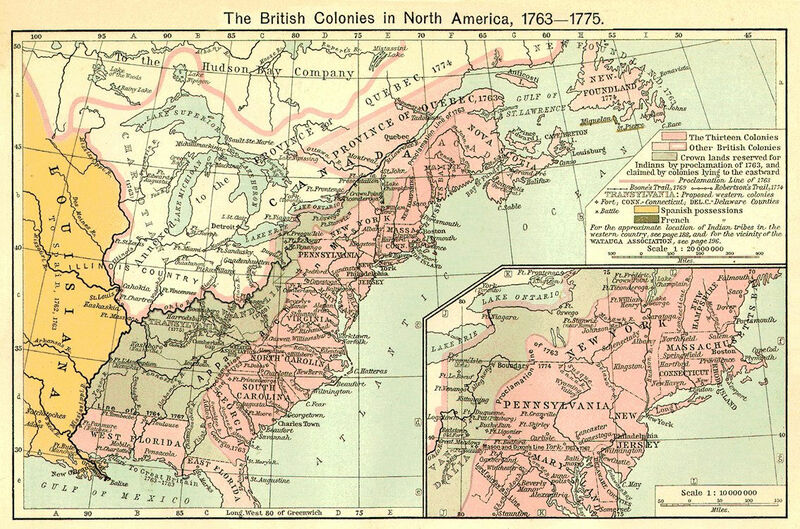 The colonies which touched the Indian Territory (e.g., New York and Massachusetts) had grants that provided their north and south boundaries extended “west” and they felt that meant to the Pacific Ocean. Thus, the English declaration of the Indian Territory and the Quebec territory was regarded as a “land grab” of colonist lands. At the end of the Seven Years’ War, England gave Cuba to Spain in exchange for Florida. The French land of Louisiana and the English land of Florida sealed any southern growth or western growth in the south. In short, the colonists felt the English were extinguishing any colonist ability to move westward or expand geographically to grow more economically powerful. Further, the Quebec Act, giving the Catholics the right to worship in what was now the western part of the American colonies grants (and larger than all the American colonies) seemed part of a larger plot to reestablish the Anglican Church of England in the colonies.